Came here for a normal eye exam since I’ve recently gotten insurance and found out I needed glasses. The staff here is SO friendly and helpful!From the time you walk in the door, get your eye exam to getting your glasses picked out they all are joyful and a pleasure to be around! Katherine helped me pick my glasses and she had an amazing attitude although I wanted to try on 50 pairs of glasses!!! I highly recommend this place!! If I could give more stars I would! I love Dr. Wilson! I have been seeing him for several years and he always knows exactly what I need for my vision(I admit I am picky about my eyes). I love the friendly staff and how everyone is on the ball in the office! They also have a great selection of glasses and contacts! Ciara was great helping me pick out the perfect pair! Sherry was a great help in picking out my new glasses! I recommend anyone to visit Wilson Eye Center in the Future! Just left Wilson Eye Center and I cannot say enough FABULOUS things about this place. Dr. Price is the best! He is always ready to answer any questions I have and he is so patient and understanding. The entire staff is so nice and courteous. A BIG THANK YOU TO HILLARY…his is amazing and he helped me pick out a pair of awesome glasses super fast! I LOVE THEM! and cannot wait to pick them up! This place rocks…YES, YES…GO SEE the people at WILSON EYE CENTER, THEY ARE THE BEST! Top Notch Professionalism and excellent customer service is what you receive at this facility. 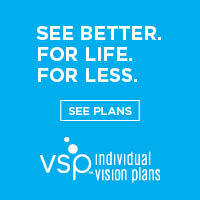 I recommend this place to anyone seeking eye care. What a great establishment. This place has great eye doctors and a friendly staff. I’ve been going here since I was a little boy and i’m now 36 years old and the service has always been great. Shout out to Dr. Price for always looking out for me whether it was fitting me in contacts or glasses. The selection of frames is impressive! Every time I visit, I find myself wishing that I needed yet another pair of glasses. Dr. Harris is thorough and professional, Sherry did a great job making my husbands glasses, and Harley helped me find exactly what I needed. Thank you Wilson Eye Center! Now, I will be another person who always recommends Wilson eye center to friends and coworkers! We recently moved to town and I needed an eye exam. I’m so glad that Wilson Eye Center was highly recommended to us. They exceeded my expectations in all aspects, from making the appointment to registering, and the appointment itself was flawless. The staff is very courteous and is great at taking time to answer all questions. Dr. Price and Brittany are great! They were friendly, knowledgeable, and efficient. I was able to get in and out, with little wait time, while also getting my questions answered and my needs taken care of. Every staff member that I came across gave off the impression that I was a valued patient. Thank you Wilson Eye Center! I’ve been a patient at Wilson Eye Center for three years now and I will never go anywhere else. I’ve never encountered anyone who wasn’t friendly and helpful. I saw Dr. Arnold today and he was very thorough and answered all of my questions, as well as making sure I understood everything he was doing and saying. I also love that they will deliver my contacts right to my mailbox! Thank you Wilson Eye Center!